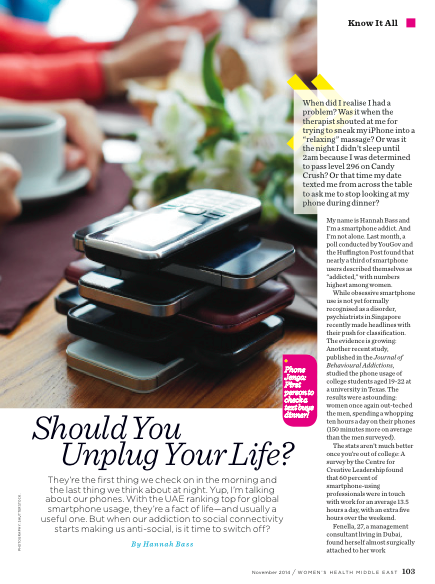 WOMEN’S HEALTH MIDDLE EAST | SHOULD YOU UNPLUG YOUR LIFE? Click here to read my full feature for Women’s Health Middle East on mobile phone addiction, Should You Unplug Your Life? ← WOMEN’S HEALTH MIDDLE EAST | WOULD YOU POP A PILL TO FORGET YOUR EX?